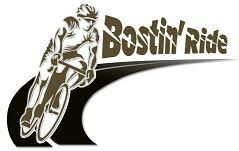 The 10th Anniversary Brewood Cycle Challenge is taking place on Saturday 8th June 2019. Please click on the link to the 2019 Event page, which provides details of the event and how to enter. 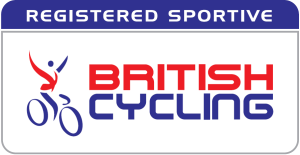 The Brewood Cycle Challenge is a British Cycling Registered Sportive that takes place, on a Saturday, each June, based in the picturesque village of Brewood, South Staffordshire. The routes are principally designed to guide cyclists along the quieter country lanes of the counties of Staffordshire, Shropshire and, sometimes, the West Midlands. En route you will discover interesting villages, hamlets and vistas whilst, of course, experiencing the occasional delights of challenging up-slopes (we don’t call them hills!) and invigorating descents. Join our FaceBook page (see link on left) and keep referring back to this site for up-to-date news of this and next years event. Brewood Cycle Jersey Travels 1003 miles! This is my third year of riding the BCC and this was by far the hardest one yet! Great job, very well organised down to sending someone out to warn us about a pot crater you just wouldn't get that anywhere else! See you next year! A well organised event thanks for all your efforts especially the jacket potatoes! !